The Great American Road Trip is alive and thriving. Even for a weekend road trip, Americans are more ready to hop in their RVs, pack their road trip essentials, and drive hundreds of miles to live their best adventures. 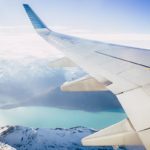 According to MMGY Global’s 2017-18 Portrait of American Travelers, road trips represented 39% of vacations taken by United States travelers in 2018. 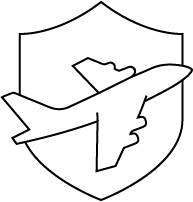 And according to the AAA, 35 percent of families planned a trip more than 50 miles from home in 2017. The numbers don’t lie. Road trips are quintessentially American. Friends can bond on the Blue Ridge Parkway road trip, and families can enjoy some quality time driving around the West Coast. Anyone seeking inner peace can go on a spiritual journey on the East Coast. Wherever you go, be prepared to enjoy nature’s beauty. 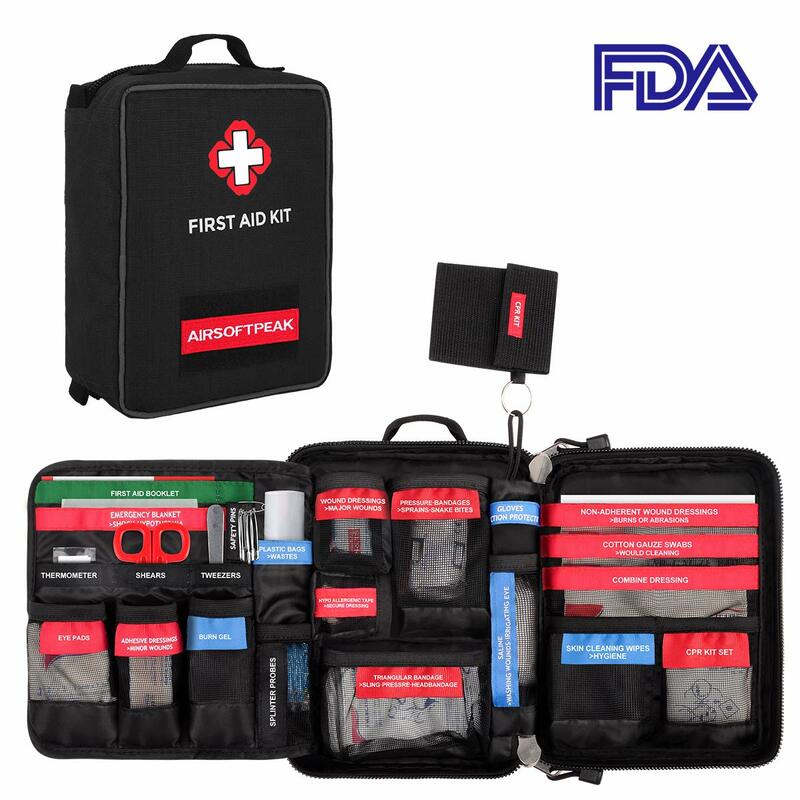 However, you also need to be prepared for all kinds of situations when on the roads, whether they’re good or bad. Getting out on the open road comes with its own set of challenges. Be as vigilant as possible when getting your car ready and when packing your road trip essentials. Do a round check. Go over the oil, oil filter, air filters, brakes, brake fluid, high and low beam headlights, fuses, and horns. Check tire conditions. Look for any signs of strains or bulges, and see if the tire pressure is normal. Here are some tips to take care of your tires on the road. If you travel to a cold area or during winter, gear up with snow tires. Check your windshield wipers. Change them if they leave a trail, and make sure you have enough wiper fluid. Start with a full gas tank. Always refill it when it is half full to avoid running out of fuel in a place where. Clean your car. A road trip often means making a mess in the car, so start your journey right. Clean your car thoroughly inside and out. Make room for your baggage inside the car. Putting the luggage on top of the vehicle slows you down and eats gas. Check the heater and air conditioner. 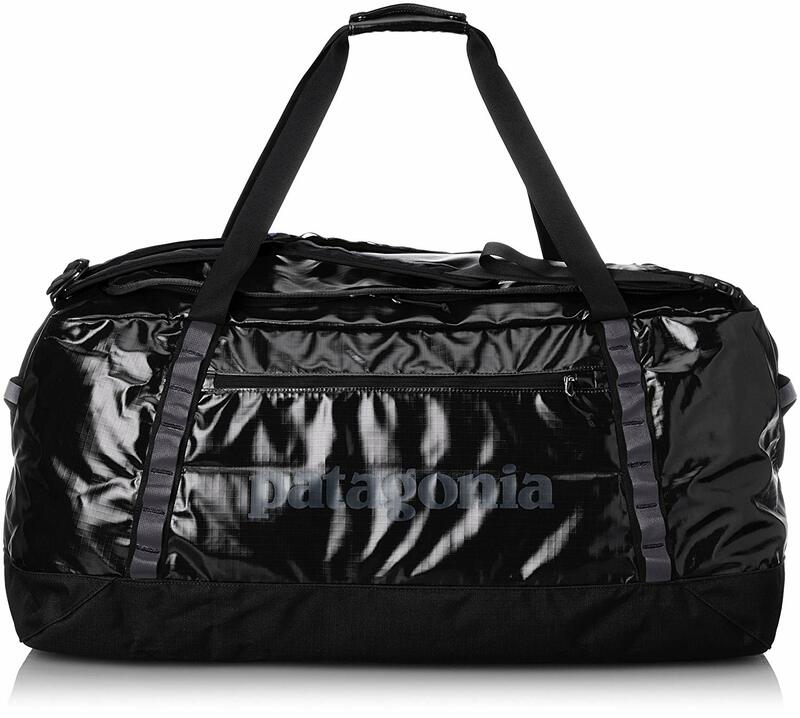 You will want to stay fresh when traveling in hot August and warm in freezing December. When you finish these car-related check-ups, take note of the road trip essentials to pack them in your car. 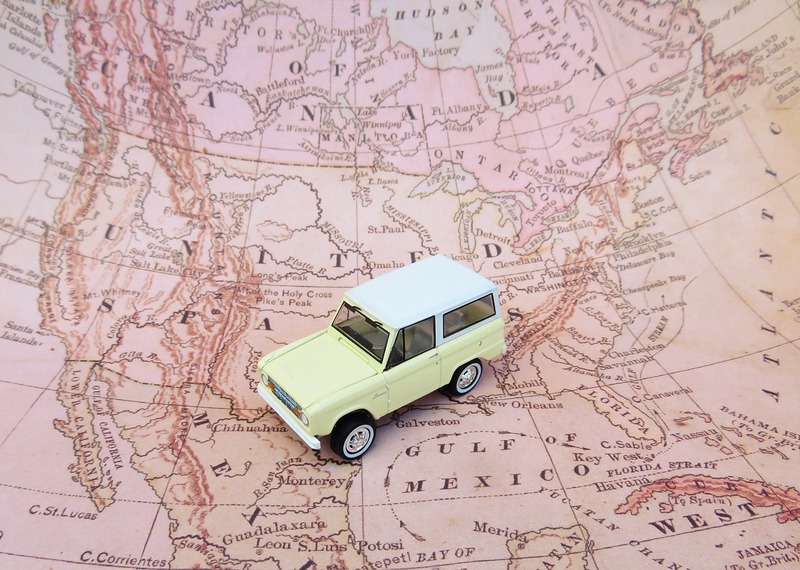 The items on the list will help you make your road trip smoother, safer, and more fun. You never can tell when an emergency will occur on the road. Be prepared for the unexpected to stay safe. 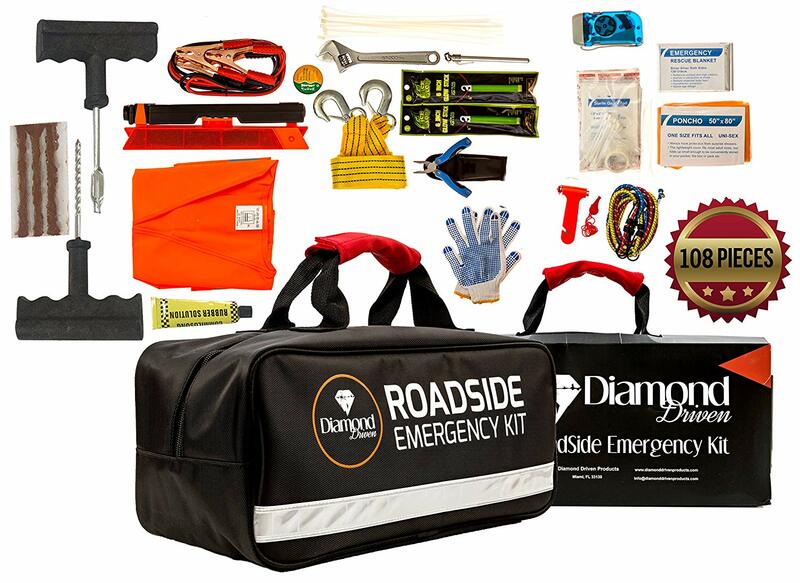 An emergency roadside kit with flares, a self-powered flashlight, jumper cables, a first aid kit, and other essentials will help you weather anything. You’ll be ready to withstand any mishap from flat tires and dead batteries to minor scrapes. Swap the stress of the traditional cooler with the convenience of a car cooler. 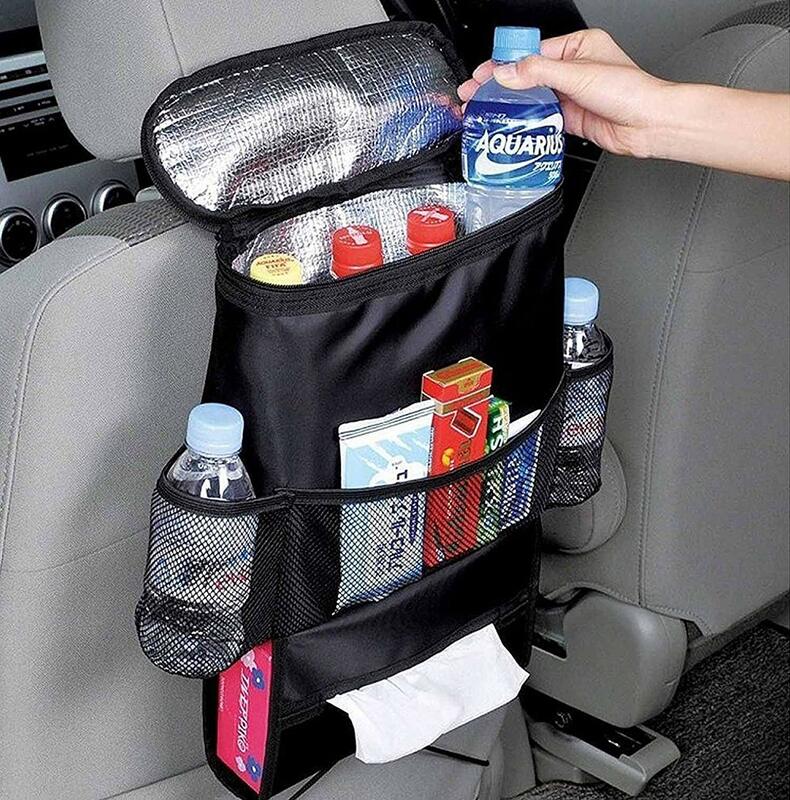 These road trip essentials are an excellent way to transport your food and drinks, and the cooler won’t take much space. 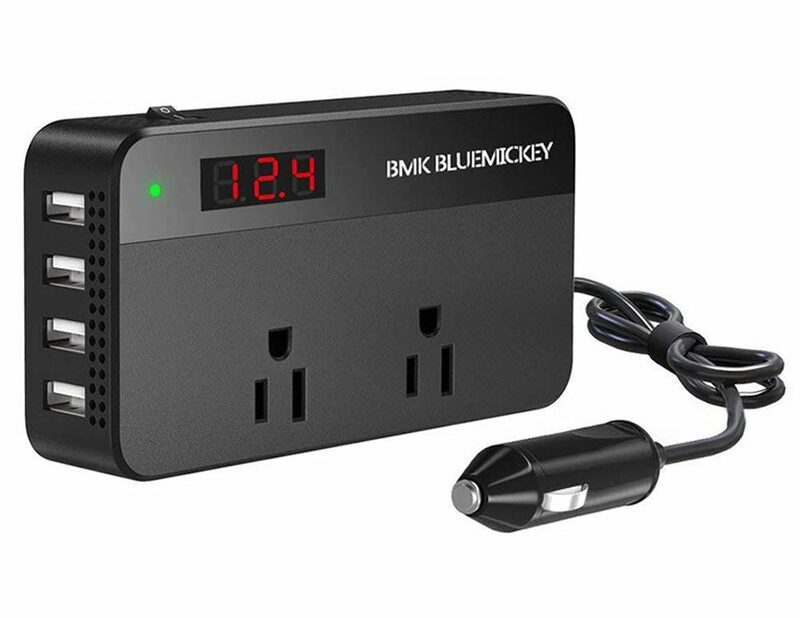 It can plug into your car’s 12-volt accessory outlet and get the job done without any ice. 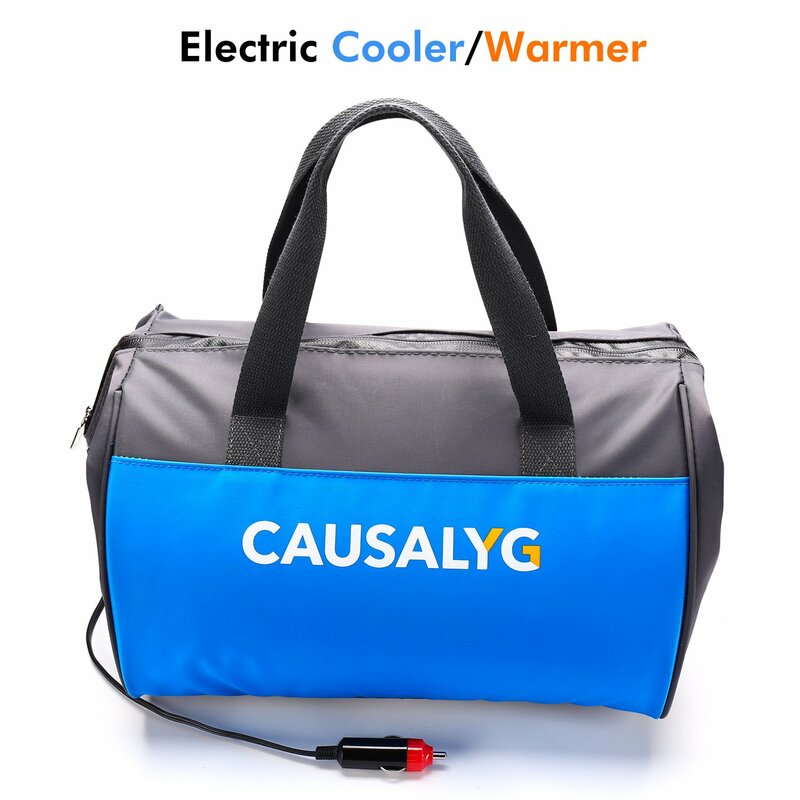 Our favorite is the Causalyg Soft Electric Cooler. It can chill its contents up to 48°F or warm them up to 140°F. You’ll use your portable electronic devices more often during road trips. Make sure you have a way to keep all the devices charged and working. A multi-port power converter allows you to charge various devices at the same time. This 2-in-1 car power converter provides continuous DC to AC power and features two AC outlets and four USB 6.2A spots. 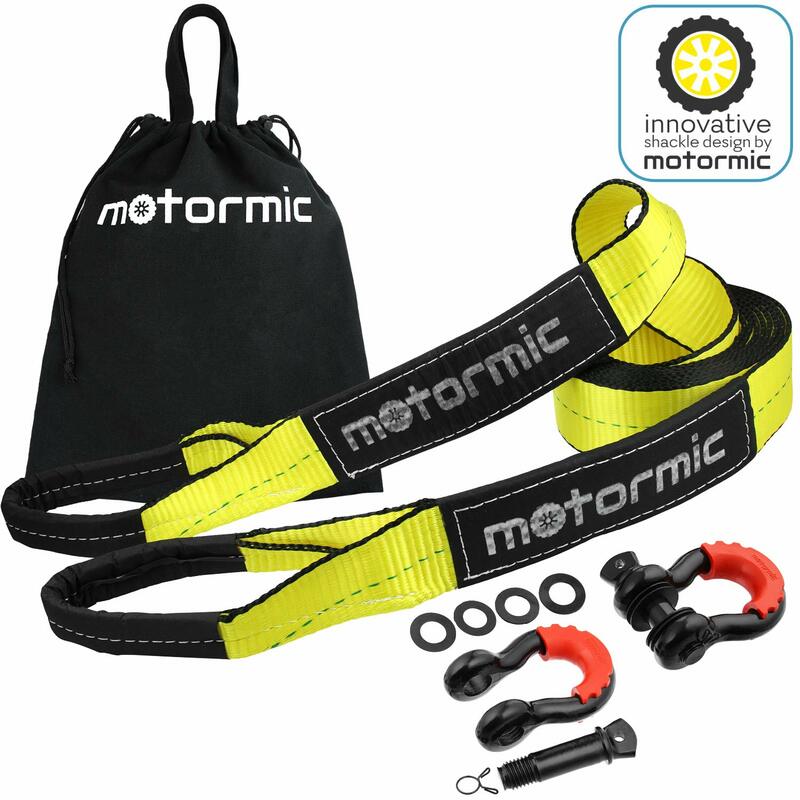 Stow a towing rope in your trunk or glove box before getting on the road. These are road trip essentials that won’t take much space and can come in handy more than once. You can use a toping rope to pull a vehicle out of muddy or snowy terrain. 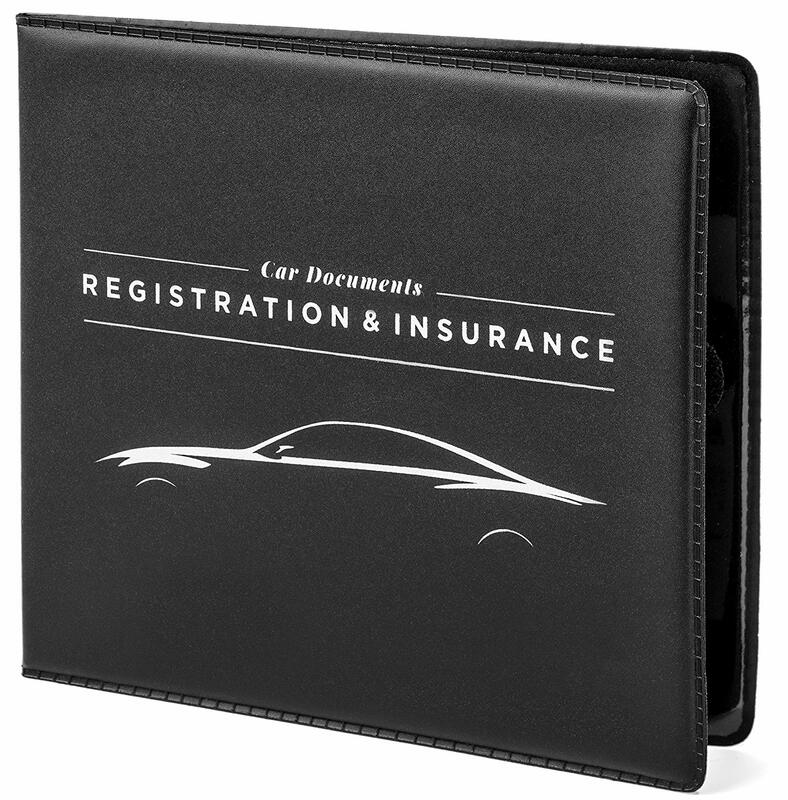 If you don’t need it for your car, you may be able to help another traveler. A flashlight is a lifesaver. Some people recommend that you have a flashlight on you at all times, even in your every-day life. This advice is essential for road trippers. If your car breaks down in the middle of the night on the road, you will need a source of light to check what’s wrong. 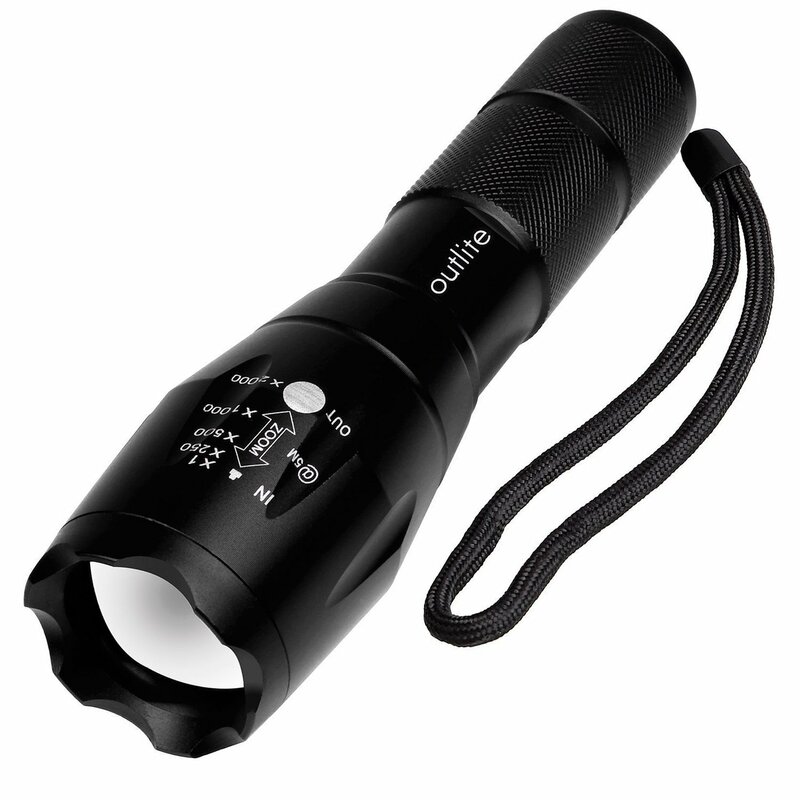 If you are in an emergency, you can use the flashlight to signal your presence. If you want to defend yourself from a physical attack, you can blind your assailant with its light or use it as a self-defense weapon. Flashlights can have lots of uses. Don’t leave without one. Investing in a car fire extinguisher increases the chances of putting out fires. 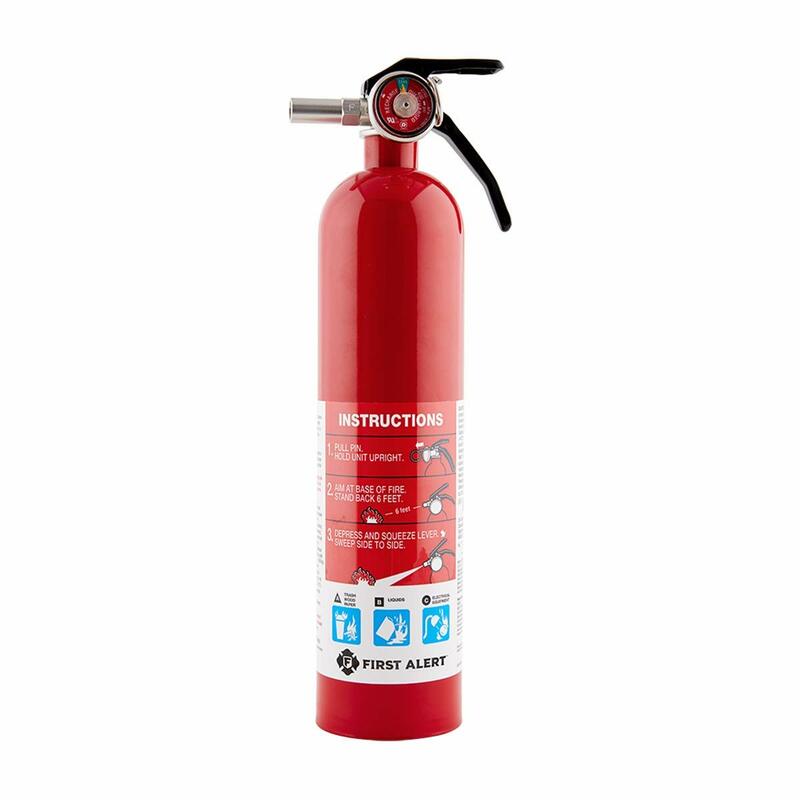 We like the First Alert’s Rechargeable Standard Home Fire Extinguisher for its versatility. While it is primarily for residential fires, this device is small enough to store in a car and powerful enough to extinguish most fires you’d encounter on a trip. You can’t predict how and when an incident could happen, but you can help make it more manageable. If a kid bruises their knee when playing or a friend cuts their hand setting up a tent, you need to have something disinfect and patch up the wound right away. Pack a mosquito spray or balm too. Sitting by the river is all fun and games until the sun sets and the mosquitos start biting. You’re going to spend a lot of time in your car. Optimizing your space and making it as organized as possible is of paramount importance to make it all work. Dry shampoo. 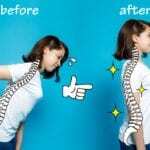 This tool helps you when you can’t find a place where to shower and still want to feel clean. Flip-flops. This footwear is perfect when you’re using public showers or walking around in a hostel room. Hand-sanitizer and wet wipes. These can protect you from germs when you’re using public restrooms or eating snacks in the car. Insulated water bottle. These bottles are practical, ecological, and healthy. Interchangeable and season-appropriate clothes. Road trips may mean you can’t do laundry, so choose items that work with multiple outfits and will stand up to days on the road. Lip balm. Chapped lips are the worst, especially when you’re traveling long distances. Shawl or a small cover. A convenient cover is perfect for chilly nights. Sunglasses. They’re fashionable and helpful for your safety while driving. Glare from the sun can make your eyes get tired quickly. Polarized sunglasses block reflected light, thus reducing glare. Keep a backup pair in the car in case you lose one pair. Sunscreen. Whether you travel during the winter or summer, sunscreen should always be in your bag. Choose one with SPF 30 or above. Towels. Have a big one to dry yourself after showers and a small one to wipe any spills. Towels are even more important when traveling with kids. Travel pillow. When you want to nap and not wake up with a distorted neck, use a travel pillow. If you aren’t a car fanatic, you have probably never had a scissor jack in your car. However, if you have had the misfortune of needing to change your tire on the side of the road, you know how lifesaving a scissor jack is. 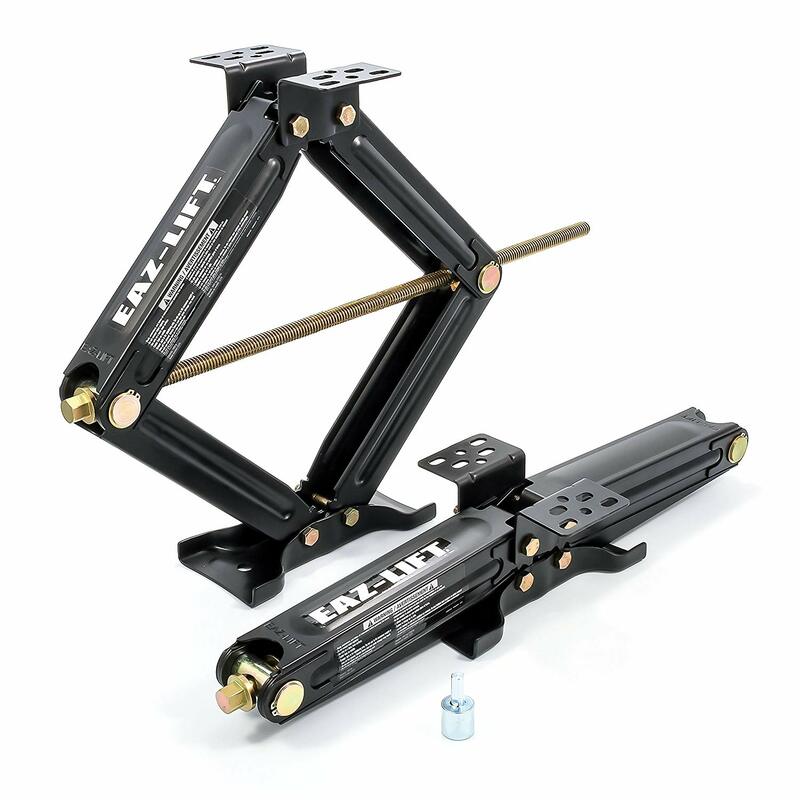 The Eaz Lift scissor jack is made of heavy-duty steel and is powder-coated to resist corrosion and rust. Even on normal car rides, cars get dirty quickly. You can guess how messy it can be on trips. 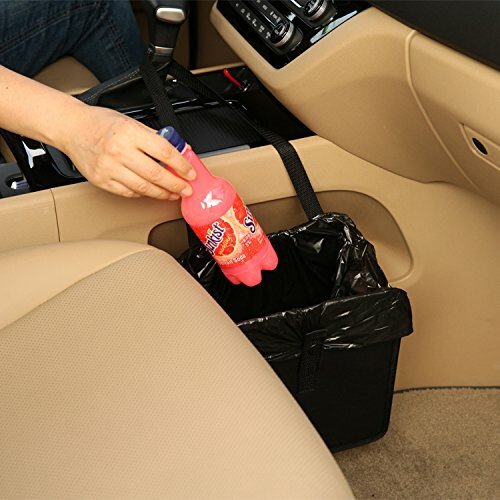 You will live in your car for the duration of your trip, so keep the area clean by having this portable car garbage bin near you. You can empty it at each stop. 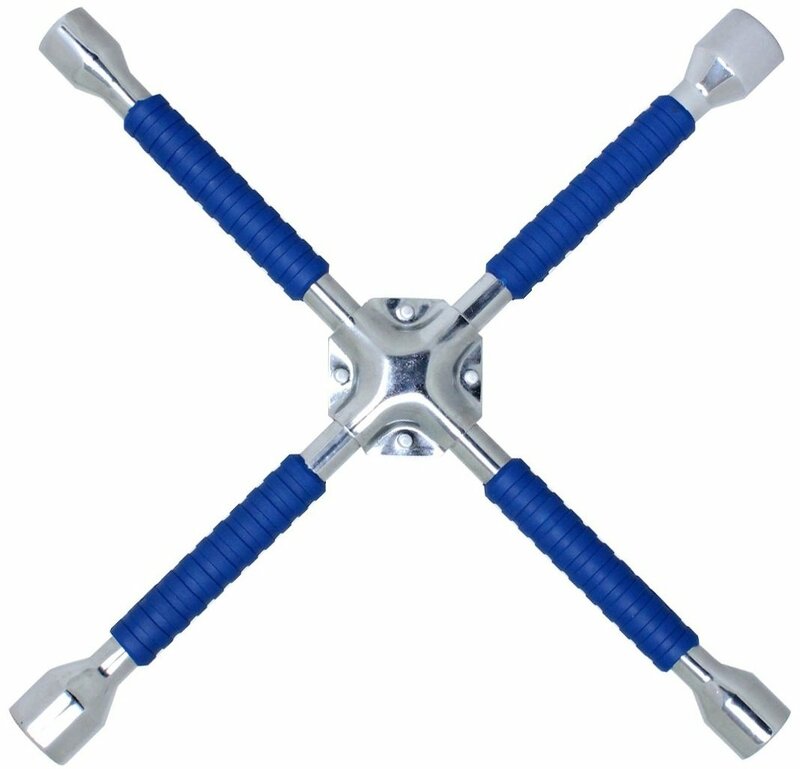 A cross wrench or a lug wrench is one of the road trip essentials to keep in your car. Find a safe location. If you can’t find an empty parking lot, park on the straight part stretches of the road (instead of curved ones). Apply the parking brake and wheel wedges. Remove the wheel cover and loosen the lug nuts. Place the jack under the car and raise the vehicle. Unscrew the lug nuts, remove the flat tire, and mount the new tire on the lug bolts. Lower the vehicle a little bit, tighten the lug nuts, and then lower the car to the ground. Replace the hubcap to finish. Your phone will be your best friend during your road trip. If you’re the driver, you will be using it to find your location on the map, play your favorite tunes, receive important calls, and call to ask for directions. 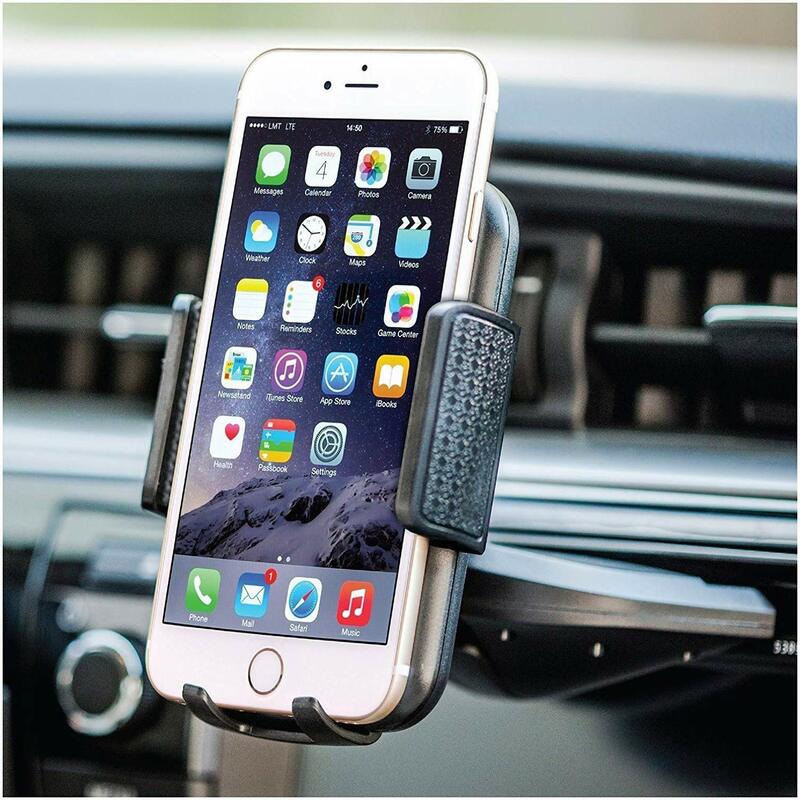 Having your phone mounted near your steering wheel will make it easier to see and safer to use. Keep everyone’s food and drinks organized and within easy reach using a snack organizer. Large coolers and bags take up valuable space in your vehicle. Instead, look for a snack organizer that will keep food and beverages hot or cold while keeping them in an easily accessible, central location. Keeping track of license plates and looking at varied landscapes can be an interesting way to pass the time in the car. It can also get boring after a few hours, especially for kids. Entertainment items are road trip essentials. Travel-sized games, books, and art kits are great, but you’ll also want a way to engage your children for longer periods. Tablets and phones are good options, but watching TV shows and movies on these devices will quickly deplete your plan’s data. 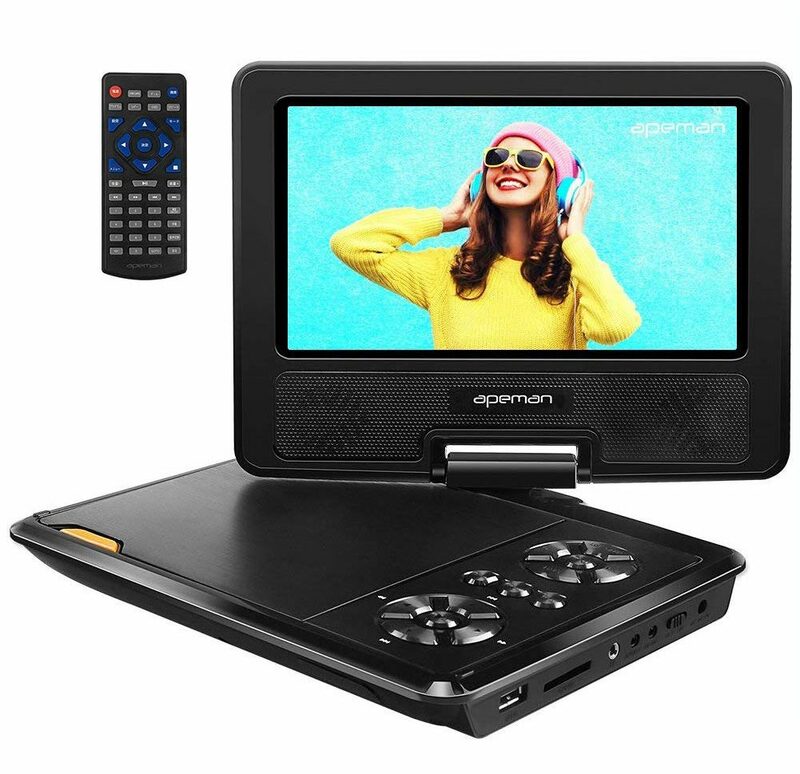 Instead, an inexpensive portable DVD player will keep the kids entertained and happy. Get one with a rechargeable battery. Here is a list of all the papers you need to have at the reach of your hand. Driver’s license. Don’t leave home without it! Car insurance. If you don’t have insurance or are looking for a better plan, we have a full review on the best car insurance options on the market, including one for those who don’t use their car that often. Owner’s manual. 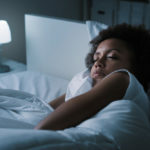 You may have never opened it before, but trust us, it could be the one factor that turns your adventure from the best road trip you have ever taken to a bumpy, mediocre escapade. 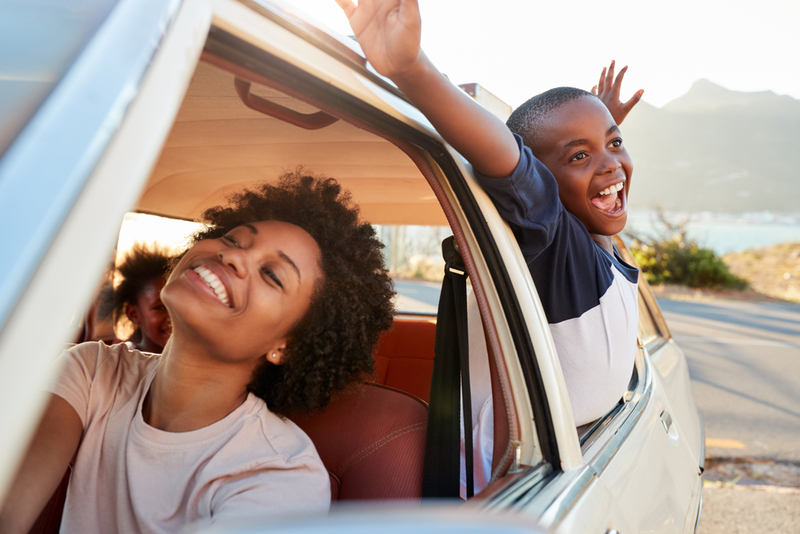 Road trips offer a great way to spend time with your family. You get to see different parts of the country while spending quality time together. 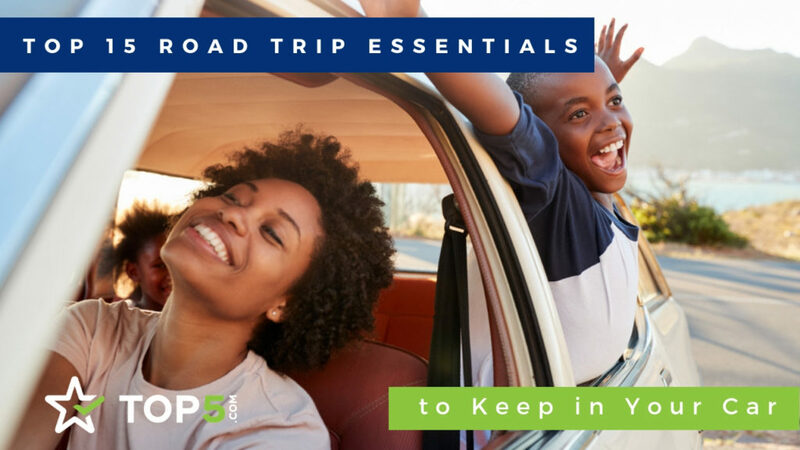 To make it the best trip possible, get these road trip essentials to be prepared for emergencies and have ways to stay entertained and safe while out on the open road.